There's a pretty solid crop of albums hitting the streets this week, making it tough to choose a handful that stand out from the rest. See what you think. 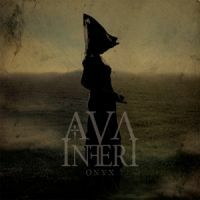 The Portuguese Gothic doom outfit Ava Inferi is back with Onyx, the band's fourth album. Mesmerizing, weighty, soothing - all terms that can be used to describe Ava Inferi's style of melancholic beauty. For fans of Katatonia, Theatre of Tragedy, etc. 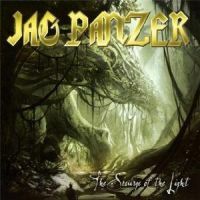 For lovers of Americanized power metal, the wait for a new Jag Panzer album is over. The Scourge of The Light is just about everything fans of the band, and the style, expect from one of the nation's premier metal outfits. The Colorado metallers may have taken their collective foot off the accelerator just a bit on this, their ninth outing, but it's still a worthy purchase. 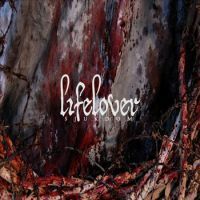 The fourth full-length from Swedish depressive metallers Lifelover is an interesting affair. Hints of black metal anger permeate what is mostly a doomy, almost Gothic atmosphere bearing similarities to later-period Sentenced and Tiamat. An interesting underground pick for those more darkly inclined. 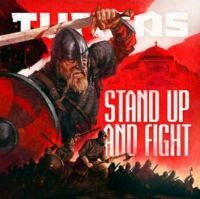 The Finnish Viking metal horde Turisas are back with their third studio album. Stand Up And Fight may distance a number of the band's early fans, for gone almost entirely are the harsh vocals to be replaced by clean crooning and triumphant choruses. While most of the music still retains much of the aggressive folk melodies, there's a palpable shift to a more standardized power metal sound. In fact, fans of bands like Dark Moor and Falconer may be more impressed with Stand Up And Fight than will fans of Ensiferum and Eluveitie.